April 2, 2018 - Thank you to all at Glow Motion! We have worked with other companies similar to yours in the past and BY FAR the Glow Motion team provided the BEST support and HELP along the way. My thanks and compliments to the everyone at Glow Motion Technologies! February 4, 2018 - Glow Motion Technologies participates in the Super Bowl LII Pepsi Halftime Show with Justin Timberlake. Glow Motion participated in Super Bowl LI with Lady Gaga in 2017 and Super Bowl XLIX with Katy Perry in 2015 making this year their 3rd Super Bowl halftime appearance. November 4, 2017 - Glow Motion and Stage Kinetik are Down Under kicking off Drake's Boy Meets World tour in New Zealand and Australia. 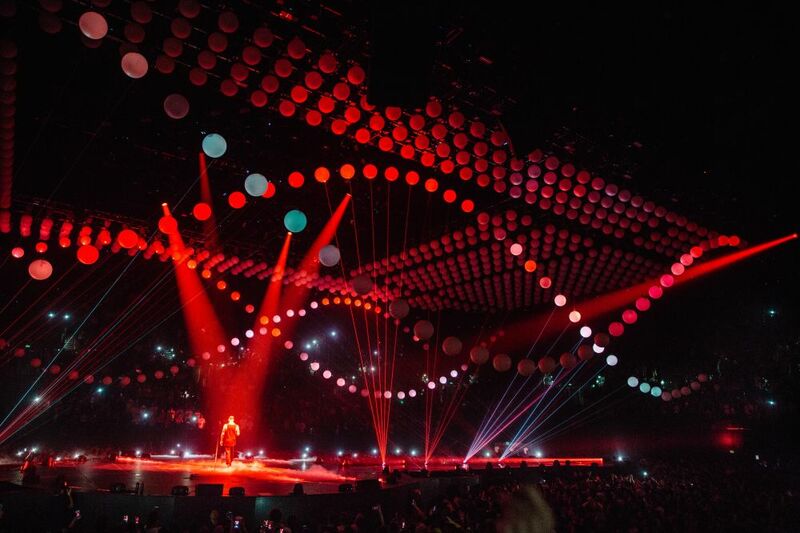 With an ancredible 1,000 shperes, this is by far Drake's largest kinetik rig to date! August 11, 2017 - Thanks PLSN for the great review of our work at Cisco Live! along with Stage Kinetik, Lightswitch and Go! Productions! 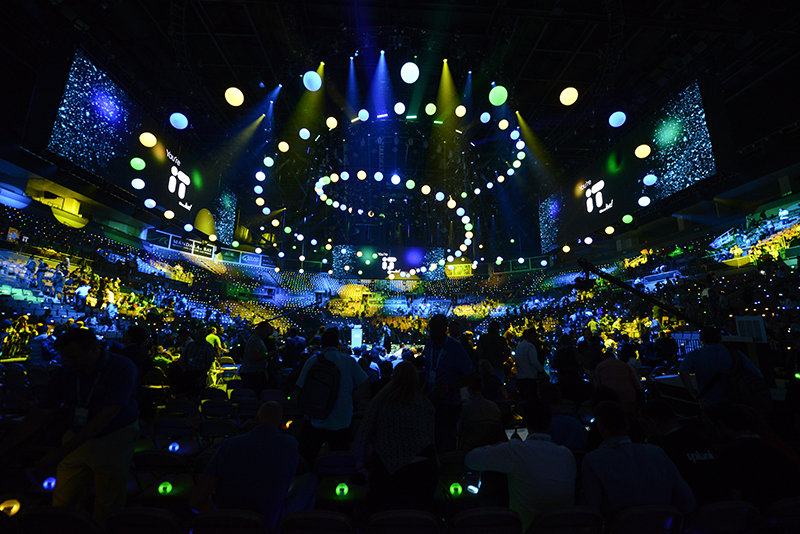 Design Team Reboots Corporate Event Conventions with In-the-Round Cisco Live! The purpose of this year’s Cisco Live! event, a multi-day educational event for IT and networking professionals staged within the Mandalay Bay Arena in Las Vegas in late June, was to introduce a radically new networking product. So it makes sense that, when the event’s organizers turned to Lightswitch and Go! Experience Design, they were hoping to provide attendees with an experience that also defied expectations. March, 2016 - "Glow Motion would like to pay special thanks to Andree Verleger and ABC Event Production GmbH for having the foresight to combine two cutting edge LED and motion technology companies together and incorporate the end product into his design for the BMW100 event in Munich earlier this year. 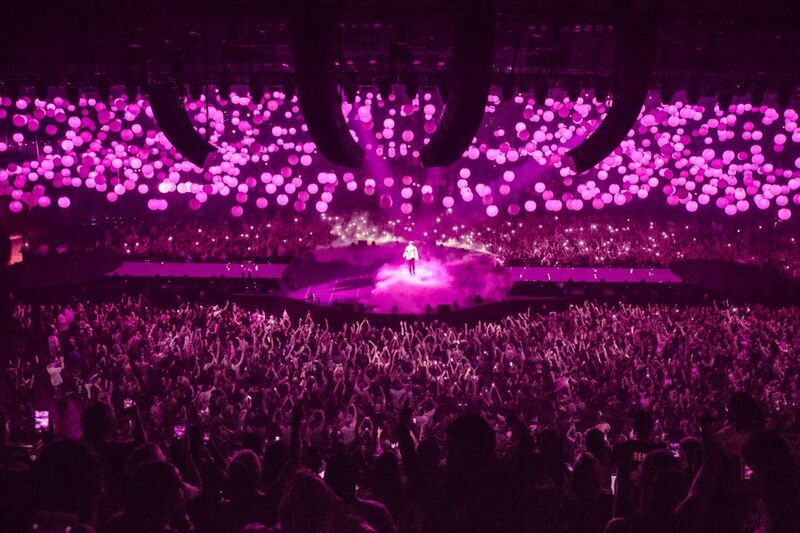 Stage Kinetik GmbH and Glow Motion could not have been more pleased with the end result of our combined team effort to pull off the first major installation of its kind in the world. Additional thanks to lead agency, Vok Dams Events GmbH and technical engineering company, adhoc engineering GmbH."